Apple has today updated the 13-inch MacBook Pro and the 11-inch and 13-inch MacBook Air with “significant updates”, revamped around providing greater performance and power to Kiwi customers. In updating the 13-inch MacBook Pro with Retina display, Cupertino has introduced the all-new Force Touch trackpad, fifth generation Intel Core processors and Intel Iris Graphics 6100, two times faster flash and longer battery life. On the flip side, the 11-inch and 13-inch MacBook Air now possess fifth generation Intel Core processors, Intel HD Graphics 6000, and Thunderbolt 2, and added two times faster flash to the 13-inch MacBook Air. “Today the popular 13-inch MacBook Pro with Retina display, 11-inch MacBook Air and 13-inch MacBook Air all received significant upgrades,” says Philip Schiller, Senior vice president of Worldwide Marketing, Apple. “The 13-inch MacBook Pro has been updated with the latest processors, more powerful graphics, faster flash, longer battery life and the all-new Force Touch trackpad. The 13-inch MacBook Pro with Retina display features the all-new Force Touch trackpad that Schiller says, brings a “new dimension” of interactivity to the Mac. The new trackpad features built-in force sensors that allow you to click anywhere as well as customising the feel of the trackpad by changing the amount of pressure needed to register each click. 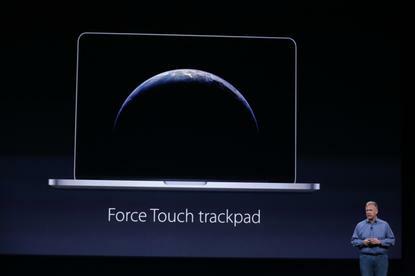 The Force Touch trackpad also enables a new gesture called Force Click, a click followed by a deeper press, for tasks like pulling up the definition of a word, quickly seeing a map or glancing at a preview of a file. In addition, the 13-inch MacBook Pro with Retina display now delivers up to 10 hours of battery life and up to 12 hours of iTunes® movie playback. Available today through the Apple Online Store and select Apple Authorised Resellers in New Zealand, the 13-inch MacBook Pro with 8GB of memory and 128GB of flash storage starts at recommended retail price NZ$1,999. Furthermore, the 13-inch MacBook Pro with 8GB of memory and 256GB of flash storage starts at $2,299 while the device carrying 8GB of memory and 512GB of flash storage starts at $2,799. The MacBook Air is also available today through the same channels across the country, with the device holding 4GB of memory and 128GB of flash storage starting at recommended retail price of $1,399. Meanwhile, the device carrying 256GB of flash storage starts at $1,699 while the 13-inch MacBook Air coming with 4GB of memory and 128GB of flash storage starts at $1,499. Finally, the device containing 256GB of flash storage starts at $1,799.